Thousands of women have stepped inside Becker’s Bridal in Fowler, Michigan, to try on their dream dresses in the Magic Room, a special space with soft lighting, a circular pedestal, and mirrors that carry a bride’s image into infinity. The women bring with them their most precious expectations about romance, love, fidelity, permanence and tradition. Each bride who passes through has a story to tell—one that carried her there, to that dress, that room, that moment. Illuminating the poignant aspects of a woman’s journey to the altar, The Magic Room tells the stories of memorable women on the brink of commitment. Run by the same family for four generations, Becker’s has witnessed transformations in how America views the institution of marriage. 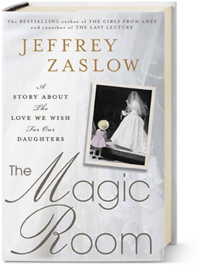 Wall Street Journal columnist Jeffrey Zaslow weaves their true stories using a reporter’s research and a father’s heart. 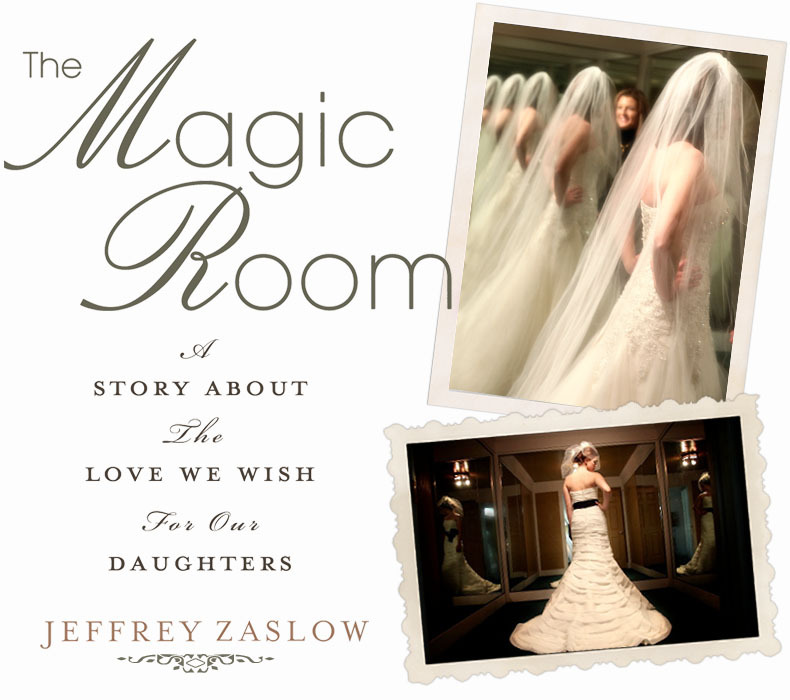 The lessons Zaslow shares from within the Magic Room are at times joyful, at times heart-breaking, and always with insights on marriage, family and the lessons that parents—especially mothers—pass on to their daughters about love. Weaving together secrets, memories, and family tales, The Magic Room explores the emotional lives of women in the twenty-first century. ©2011 Jeffrey Zaslow. All rights reserved.